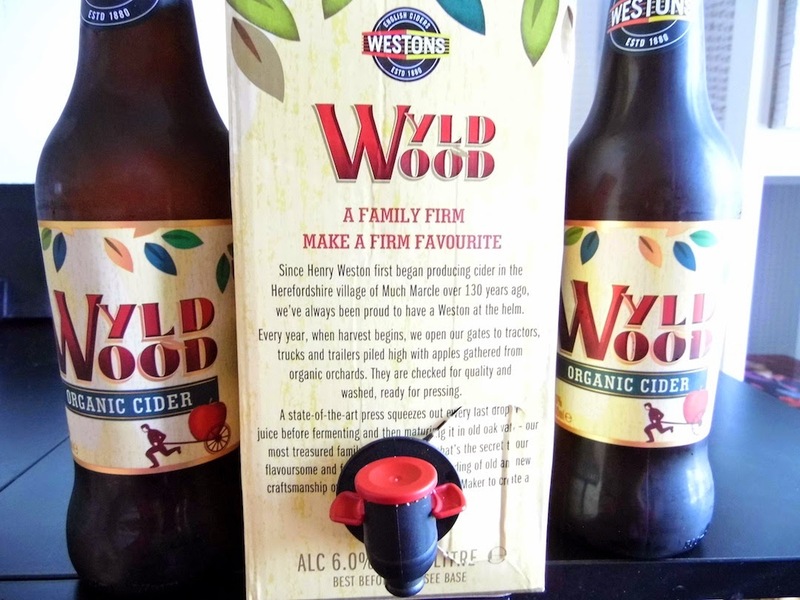 Today I am reviewing Wyld Wood Cider by Westons. When I was young cider wasn't really the drink of choice for discerning people, but wow, times have certainly changed. Cider is, dare I even say it 'trendy' these days. One of the companies making cider the drink of the moment is Westons. 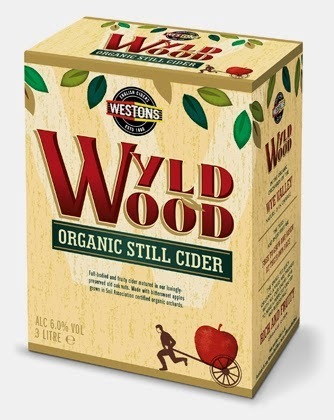 Westons is a company that has produced some of the best organic cider for over 15 years. They produce a number of brands including Stowford Press but today I am talking about Wyld Wood cider. Wyld Wood cider is produced from organic orchards which are sustainably managed to preserve nature until the apples are ready to be picked. They also work with the Soil Association and The Wildlife Trusts to continually plant new organic orchards. Impressive don't you think? So onto the tastings. I was sent bottles of the sparkling organic cider and also boxes of still organic cider, that have a dispenser attachment to review. The bottled organic cider has a clean apple flavour, which was well balanced. It had a slight sparkle in the drink but was not fizzy. It was not too sweet or too tart. A lovely refreshing drink for a summers day served over ice. A perfect companion to a barbecue or even a curry. The cider in the boxes with the dispenser was still. The flavour was similar, with a fresh apple taste. I have never really thought about drinking still cider but this had a lovely taste and was a pleasant surprise. Both type of ciders did not taste strongly of alcohol, just a gentle hint. I think the still cider, in particular, would also be brilliant for cooking, particularly with pork. I know which cider to buy next time I make my Cidered Pork With Sage Dumplings! Also I don't know about you, but I find if I fancy a glass of white wine then I open the bottle, have one glass, then if my husband doesn't get to it before me, the bottle stays in the fridge for a few days, and never tastes as fresh as when I opened it. With the dispenser I can honestly say the cider stays fresh for ages, apparently for up to 6 weeks (although it didn't last that long in our house!). Wyld Wood Cider is available from all good supermarkets and off-licences nationwide including, Morrisons, Tesco and Sainsburys. You can also buy it online, and currently, they offer free delivery from their online shop too. Weston are delighted to say that Wyld Wood cider is to be the official cider of Jamie Oliver and Alex James’ Big Feastival this year. The family-friendly foodie and music festival for 15,000 in the Cotswolds, for the second year running (29th – 31st August).The Wyld Wood Cider Bar is located within an authentic tepee which will once again be centrally located. I can't imagine anything nicer than a cool glass of cider on a summers' day, in the middle of a festival. 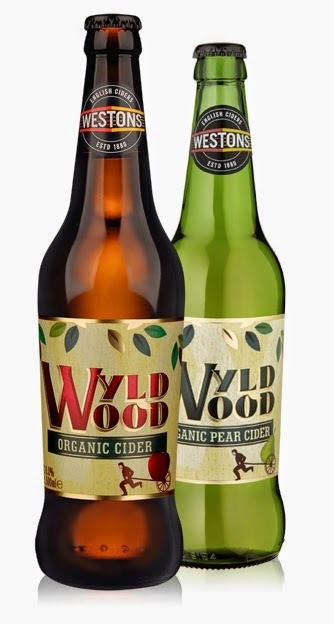 So if you are a lover of cider, or just fancy a change from your usual alcoholic drink, why not try Wyld Wood for a change? Tell me, have you ever tried this brand of cider? Do you drink cider at all? We use vacuum pumps to make our opened bottles of wine last over a week ;) I'm not a cider drinking but this sounds one of the better ones! I need to get one of these Kate I think. Yes this is a lovely drink, with a mellow flavour. I have been trying this too.....It's so tasty and refreshing! I love it. Very refreshing, I agree ! I'm not really a cider drinker (oo arrr oo arrr), I think it's a little too sweet for me. I didn't find this cider very sweet, it was very well balanced as cider goes. Thanks for your comment. It is refreshing on a hot day. I love cider and have always been a drinker. I agree though can never leave it in the fridge as it doesn't taste right after that - so am interested to try this.